14 March 2016, the Turk activist Morteza Nourmohammadi was released on bail in Shabestar, northwest Iran. Mr. Nourmohammadi had been summoned by the revolutionary court at the same day for which the reason was the suing of the local police. The accusation has been “the Pan Turkism and ethnical propaganda within a book fair”. Mr. Nourmohammadi was arrested after the trial and has been released after a couple of hours on bail of 200 million IRR. On 3 February 2016, the police banned a book fair organized by the civil society activists in Shabestar seizing all the books though the fair had got the permission from the authorities and all the books were legal. Previously Morteza Nourmohammadi has several times been summoned to the security police due to his activity on Turks human rights in Iran. On 4 April 2016, Siad Sadeghifar and Mohsen Mohsenzadeh, both Iranian Turk activists, have been transferred to the prison of Ardabil. Both had been arrested at Anti-Racism demonstration in Ardabil on 7 November 2016 at which they confronted with the accusation of “the participation in illegal demonstration and public disturbance”. The judge at the first branch of revolutionary court in Ardabil, Mr. Yousef Khodadadi has sentenced them to 91 days in prison. The sentenced was confirmed at the second branch of appeal court in Ardabil. The other convicted people at the same case, Mr. Said Sadeghifar, Mr.Tohid Amiramini and Saleh Pichaqlou were been transferred to Ardabil prison the day before, on 3 April 2016. These Iranian Turk activists previously had got another sentence in connection with the accusation of “public disturbance via unordinary actions and unlawful slogans at the Ardabil Takhti sports stadium”. On 22 February, the 2nd branch of appeal court in Ardabil, northwest Iran, has confirmed the sentence for the civil society activists named above. In December 2015, the branch number 103 of Ardabil Criminal Court had sentenced Mostafaie Parvin, Tohid Amir Amini, Meytham Jolani and Saleh Pichganlu to 3 months in prison and 30 lashes for each of them. It was claimed that the sentence was based on Article 618 of Islamic penal code; “public disturbance via unordinary actions and unlawful slogans at the Ardabil Takhti sports stadium”. These activists were detained on their arrival to the stadium to watch football match between Ardabil municipality and Fajr Sepasi from Shiraz on 10 Sep 2015. 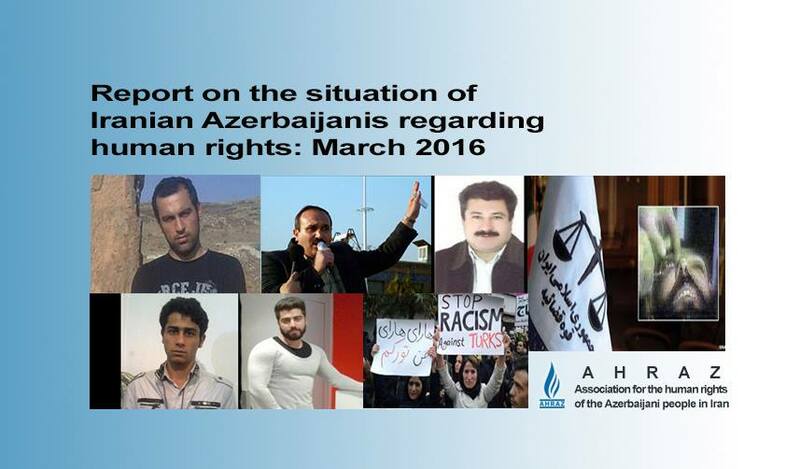 Background: About “Anti-racism protest” in Azerbaijani cities of Iran. In October 2015, in many cities of Azerbaijan (northwest Iran) and Tehran there were demonstrations against the TV program of “Fitileh” in which the Turks had been humiliated. These demonstrations are known as “anti-racism protests”. Although the demonstrations were peaceful in the beginning but they turned violent as police attacked the protester by tear gases and batons. Hundreds of activists were arrested during the protests in Azerbaijani cities of Iran. On 9 April 2016, Mr. Abbas Lesani, The prominent Turk activist, was interrogated at the 6 branch of Prosecution Office in the city of Shiraz. Mr Zare the judge of the court in Shiraz on behalf of Ardabil revolutionary court accused Mr. Lesani of “propaganda against regime for the benefit of opposition groups and organizations to the detriment of Territorial integrity within separatism and independence of Azerbaijan by the preparation and sending his own voice record in order to motivate and mobilize the radical ethnic activist, panturkists for the illegal demonstrations”. Abbas Lesani, imprisoned civil activist was transferred from Ardabil prison to Shiraz prison without any notice on Thursday, 12th November 2015. He has been prevented from having prison visits from the moment of his exile to Shiraz prison. He started the hunger strike since February 24, in protest to his transfer to Ebrat ward and not having contact with outside of prison. Abbas Lesani, had refused to participate in any of the 3 trials, because of the court’s failure in respecting Article 168 of the constitution of the notion of public hearings, was sentenced to one year imprisonment on 25th April 2014 by a court verdict, issued by Branch 1 of the Revolutionary Court in Ardebil, presided by Judge Asadpour. Abbas Lesani, civil activist and father of three children, who had been arrested and imprisoned numerously, the last time, was arrested in Ardebil on 9th September, following the protests against drying of the lake of Urmia. He was charged with propaganda against the regime and forming a group to disrupt the national security. He was released on 5th November, after 55 days of detention in Ardebil Intelligence service, on the bail of IRR 1000 million. sanitary conditions in the prison. They ended strike after relative improvement of conditions. Mortaza Parvin sufferes from digestive system disorder and lumbar disk. After the strike they had been under disciplinary reaction from the authorities. These activists are in prison because of protests against racist TV program named Fitileh broadcasted on the Iranian national TV as well as raising placards at Takhti stadium of Ardabil in support of Abbas Lesani. Saleh Pichghanlu has been sentenced to six months and a day in prison and thirty lashes, Mortaza and Mosrafa Parvin to three months in prison and thirty lashes, and Saeid Sadeghi to three months and a day in prison. On 6 April 2016, Amir Valizade director of Telegram Channel called “Rationality, Analysis and Action” was arrested by the security forces in the city of Tabriz and was taken to an unknown location. 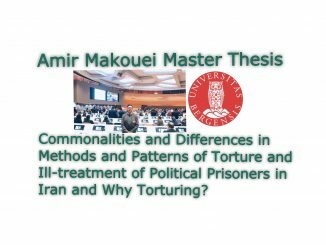 A week later on 13 April 2016, he was transferred to the quarantine of Tabriz central prison. The reason for his detention is not known. It is said this is related to his activities regarding the recent tension over Karabagh. Moreover, Abdolaziz Azimi Ghadim along with his son was detained during a football match between Tractor and Pakhtakor teams. During this match, fans of Tractor team had given slogans in support of Karabagh. Hojjatoleslam Abdolaziz Azimi Ghadim has been detained and sentenced in the revolutionary courts several times. On 27 December 2012, he was detained after a protest gathering of the people of Maragheh against Iranian foreign policy taken against Azerbaijani Karabagh. Special court of clergies sentenced him to seven months and one day in prison on the accusations of propaganda against regime and participation in unlawful gathering. Azimi was transferred to the Tabriz central prison on 18 September 2013 and was released from the prison on 29 January 2014. Previously he had been arrested in 2005 and was sentenced to 18 months in prison, exile from the Azerbaijani region and 10 years not having right to use clergy uniform. Amnesty International has, through three statements on 24 August 2005, 4 May 2006 and 27 October 2006, requested his release. 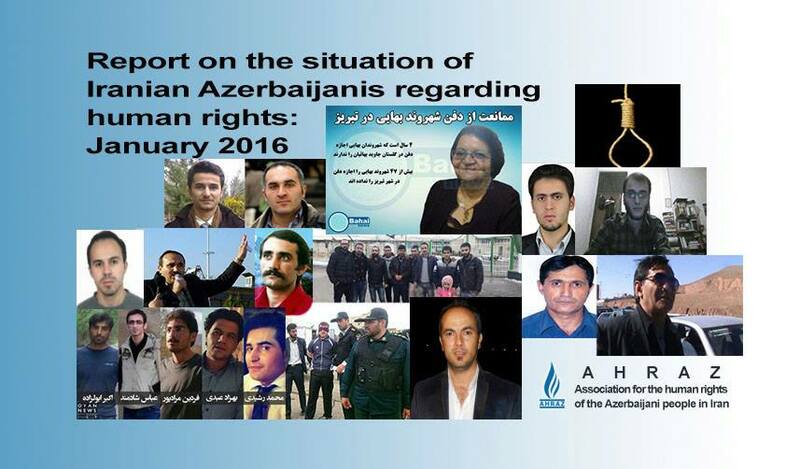 On 3 April 2016, five Azerbaijani Turk activists, Meysam Jolani, Mortaza Parvin, Mostafa Parvin, Tohid Amir Amini and Saleh Pichghanlu, were transferred to Ardabil prison for execution of court order for three months in prison and 30 lashes. On 6 April 2016, these five activists were lashed in Ardabil prison. 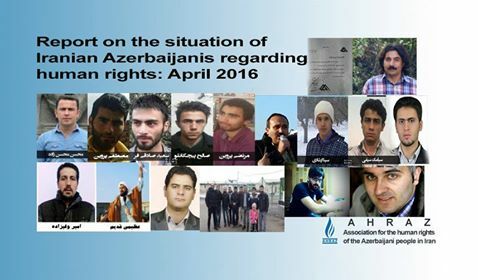 In December 2015, these activists were sentenced to three months in prison and 30 lashes at the branch 103 of Ardabil Court because of “disturbance of public order via giving slogans at the Ardabil Takhti Stadium” They held placards for the release of Azerbaijani prisoner, Abbas Lesani. These activists were also arrested on 10 September 2015 on their arrival to the Ardabil Takhti Stadium for watching a football match between Ardabil Municipality and Fajre Sepasi from Shiraz. Abbas Lesani is now in Shiraz Prison. Moreover, Meysam Jolani, Tohid Amir Amini and Saleh Pichghanlu have also been sentenced to three months and a day in prison at a secondary court in relation to the anti-racism protests. sentenced to 18 months in prison, exile from the Azerbaijani region and 10 years not having right to use clergy uniform. On 30 March 2016, Ibrahim Rashidi (nicknamed Savalan), Azerbaijani Turk activist from Meshkin Shahr City was arrested by the security forces at the Moallem Square of this city and then was freed after hours of interrogation. Ibrahim is a poet and journalist who has been arrested by the security forces and prisoned many times in the recent years. Earlier on 18 September 2014, Ibrahim was freed from Tabriz Central Prison after a year in prison. He was arrested on 20 February 2014, along with tens of other Azerbaijani activists, while honouring The International Day of Mother Language in the city of Ahar. On 24 May 2012, Ibrahim and four other Azerbaijani student activists were sentenced to a year in prison at the Branch one of the Tabriz Revolutionary Court on the accusation of propaganda against regime. In 2008, he spent five months in prison in the Urmia Central Prison. Amnesty International has condemned detention and pressure on Ibrahim via issuance of statements on the 1st of April and 1st of May 2006. Moreover, on 22 June 2010, the Organization, Reporters without Borders, made report about detention of Ibrahim. Ibrahim is a member of editorial board of monthly magazine, named “Bayram” as well as banned weekly newspaper, named “Navid Azerbaijan”. He is also blogger, Azerbaijani Turk language teacher, founder member of NGO called Azer Topraq”, founding board member and secretary of cultural association named “Ustad Shehriyar” at Urmia University, managing director of a student magazine named “Ulduz” as well as editor in chief of student magazine named “Bulut” of the University of Urmia. Branch 102 of the Meshkin Shahr City Court acquitted Sina Qurban Ershadi and Siyamak Seyfi, two of the Azerbaijani Turk civil right activists on the charges of “propaganda activities against the Iranian Islamic Regime via giving slogans based on ethnicity and Azerbaijani separatism”. These activists were detained during the “anti-racism” protests in Meshkin Shahr city in November 2015. On Saturday 23 April 2016, Mousa Soodi Moghanloo Azerbaijani civil rights activist from Ardebil City became present at the branch number 2 of Tabriz revolutionary court. He was then transferred to Tabriz prison in order to serve his sentence of 7 months in prison. Mousa Soodi Moghanloo was arrested during Tractor and Aljazeera soccer match, and went on trail in March 2016 in branch number 2 of Tabriz revolutionary court. He was arrested on March 7, 2013 by the security forces during a soccer match between Tractor and Aljazeera teams, and after interrogations in the intelligence division of Tabriz police, was transferred to the quarantine ward of Tabriz prison on 13 March 2013. On 3 April 2016, Iranian Turk activist, Mr. Morteza Moradpour, after eleven months being imprisoned, has been furloughed from Tabriz prison for seven days. Previously the supervising judge of Tabriz Prison has rejected conditional release of Mortaza Moradpour, despite approval of categorization council of Tabriz Central Prison on 03.01.16. Mortaza was arrested at his working place on 18.05.15 and was then transferred to the Tabriz Central Prison to serve his three-year sentence. Mortaza was initially arrested on 22.05.2009 altogether with some other activists because of family demonstration at El Golu Park of Tabriz and saying slogans in relation to Azerbaijanis’ linguistic and ethnic rights. He was then sentenced to three years in prison at Tabriz Revolutionary Court on the accusations of assembly to commit crimes against the state’s security and propaganda against regime. For more than three months after an appeals court reduced the sentence on Mr Alimohammdi , there is no declaration to Tabriz Central Prison regarding new circumstances of Mr Alimohammdi . after judgment has issued new sentences it has not been declared to Tabriz Central Prison. For several times Mr Alimohammdi’s family faced “offensive” attitude of authorities once they tried to track his case regarding his new status at court 11 branches and they did not receive a “clear answer” by court. Because of this situation Mr Alimohammdi is no able to use Article 134, which enables him to reduce his imprisonment duration. Hussein Alimohammadi, Taha Kermani: Hussein Alimohammadi Taha Kermani According to Taha kermani: On 12 January2016, following the request of lawyers of Alimohamadi and Kermani for appeal to the sentence of 10 years imprisonment issued by the Revolutionary Court of Tabriz, the provincial branch of the Seventh Court of Appeals proceeded the case under the presidency of Judge Ataloo and his advisors, namely, Ali Allahyari and Hossein Zzaghy. During the trial the defendants and their lawyers rejected the allegations and accusations. They believe that the basis of the case and also the accusations are affected by the pressure of security agencies and requested for the reasons and evidence about the accusations. Afsharnia and other lawyers while presenting the defending bill to the court, drew the attention of the judicial delegation of the court to the absence of any documentation about the allegations and also solely emphasizing on the confessions of the detainees in the Intelligence Service which is in contradiction with the legal provisions of the country. Earlier Jafar Afsharnia and Amir Bakhshi, lawyers of the activists while emphasizing on the fundamental objections and defining legally, had demanded a hearing. After determining the appeal court’s branch, Branch 7 of the Appeal Court of East Azerbaijan province referred this case to the Court of First Instance, Branch 3 of the Revolutionary Court in Tabriz, for correction due to a “procedural error” in the verdict issued against Hussein Alimohamadi Alvar and Syed Taha Kermani. Hussein Alimohamadi Alvar and Seyed Taha Kermani had been arrested in Tabriz and after nearly 6 months temporary detention were released on the bail from Tabriz Central Prison. Judge Hamid Bagherpour, president of the third branch of Tabriz Revolutionary Court had sentenced these two civil activists on charges of “insulting religious sanctities” and “distorting public properties and intending to opposition to the Islamic government” to ten years imprisonment. branch of the Revolutionary Court of Tabriz which was just confirmed in the court of appeal. Hussein Alimohamadi is kept among the dangerous criminals ward 12 of Tabriz Central Prison. The activist with frequent correspondents has requested prison authorities to be transferred to political prisoners’ ward. Hussein Ali Mohamadi Alvar is suffering from eye problems and because of having problems in the cornea he should use spectacle “UV” glasses and eye drops. He had requested the medicine from outside the prison but the authorities prevented him from entering the eye medication. In July 2015, Amnesty International issued a statement expressing concern that the sentence of 10 years in prison for Hussein Alimohamadi Alvar and Seyed Taha Kermani was “unjustified” and “with political purposes” and “on the basis of confessions extracted under torture”. The statement said: “The both activist have been for 42 days in solitary confinement under interrogation without access to a lawyer.” Amnesty International also asked for their immediate release. In recent days 84 workers of the “Sazeh Sim Pushesh” in Kaleybar city of East Azerbaijan province lost their jobs. According to Oyan-News, 84 workers have been expelled for failing to renew the contract. 60 workers were laid off are women. Most workers who have been expelled a few days before “Noruz – holyday” and they are married. Mr Hassanpour, a chief executive officer, said, due to lack of profitability the company has decided to transfer it to Tehran. This is the second time in recent months that a large number of workers are fired by “Sazeh Sim Pushesh”. Last month, 64 people were fired for no apparent reason and convincing that keeping track of them so far been fruitless. Five mine workers of “Mojtame Nepheline Syenite” Kaleybar city, East Azerbaijan Province lost their job for failing to renew the contract. According to Oyan-News, 5 workers who were working more than two years in mentioned company were fired by the Director of the company.